Shenzhen is a seaside city boasting of a lovely landscape. It comprises of a Special Economic Zone and Baoan district, spreading over a space of 2020 square kilometers and a populace of 1.9 million. It is situated in the south of Guangdong Province with Hong Kong to its south. 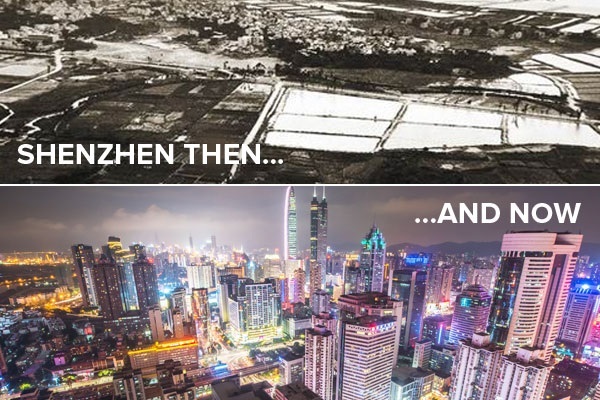 In 1970, Shenzhen was set up as a city, and in 1980 it was accorded the status of a Special Economic Zone (SEZ). Its beach front measures up to 230 kms. 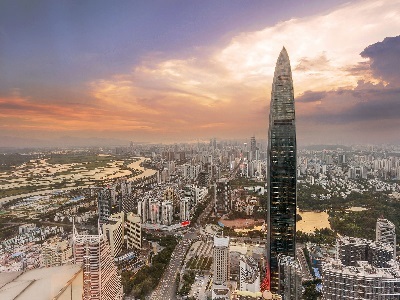 In the course of recent years, Shenzhen has undergone gigantic advancement in different social and monetary endeavours, diverting itself from a boondocks town into a cutting edge city. Considering that Free Trade Zones, by their exceptional definition, occupy run-of-the-mill outskirts, it is logical that these came about through an amalgamation of factors such as geology, innovation, and time. It would be sensible to expect that they started in China; all things considered, Special Economic Zones in China, and the nation's Open Door Policy, helped construct the country's economy during the 1980s and provided key impetus to the rolling of a financial juggernaut. Be that as it may that would be way off, actually. The world's first Free Trade Zone was established not in a cosmopolitan junction or a bustling fringe, but in Shannon, a little country town dotting the west shore of Ireland. Shannon, despite its peaceful setting, really had a couple of things working in its favour when it turned into the world's first Free Trade Zone in 1959. After WWII, trans-Atlantic flights couldn't fly from the U.S. to the European mainland in one go, so the Irish government built the Shannon Airport, the westernmost in Europe, as a stopover point for the flights. Of course, the centre point for voyagers additionally turned into the home of the world's first obligation-free zone which for most part sold cigarettes, whisky, and gin (obligation-free stipends made it conceivable to buy up to 2,000 markdown cigarettes back then). Ms. Kitty Downes sold keepsakes, for example. Irish cloth from an outlet in the airplane terminal immediately extended its contributions, including perfumes from Dior Chanel that tempted American travellers. Waterford precious stone owes its heritage and popularity to this little yet critical airport counter. Overall, it turned out to be an astute idea that helped Shannon's economy and notoriety to progress. A couple of decades on, while advancing airplane innovation implied intercontinental flights would before long have no reason to stop in County Clare, the Irish all of a sudden decided to try an approach to secure their interests in Shannon. Brendan O'Regan, the Irish representative and previous hotelier, who was responsible for the airplane terminal (and creator of the obligation free zone), had an idea. 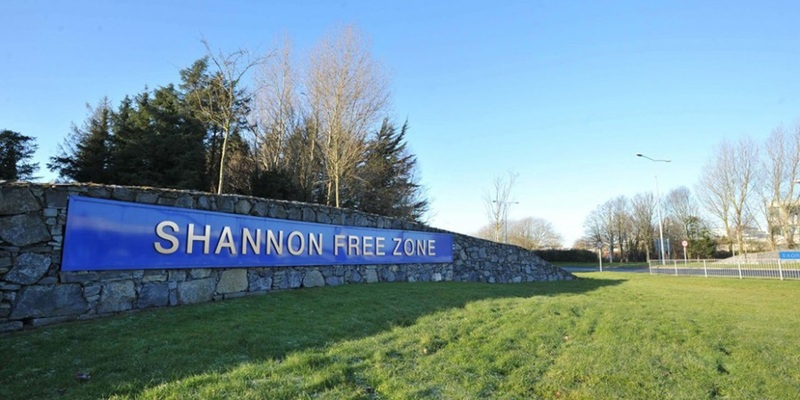 Shannon Free Zone, which opened in 1959, and Shannon New Town, which came up a couple of years after that turned into development zones that saved the territory's status as a stopover point while rendering it a magnet for worldwide exchange. Ireland, which turned into a republic in 1949, hoped to rapidly create its own organizations and economy, and this unique financial zone, which offered tax cuts to outside organizations, and also an adjoining town built later to house labourers, pulled in scores of multinationals. When Shannon was authoritatively named a town in 1980, 10,000 labourers settled down and were employed by some of the best organizations, for example, GE, Intel, and Lufthansa. O'Regan, who had been asked to improve the zone to some degree by the Marshall Plan which the United States used to build up European economies after WWII, made a start that lifted the Irish economy. Shannon may have been to a greater degree unique notwithstanding a visit by Chinese legislators. In 1980, Jiang Zemin, an ex-Chinese President who was then the Senior Minister of State Imports and Exports Administration, visited Shannon to enquire about its approach, and how it had transformed into a global city. He liked the model enough to take it home, and it was adjusted to suit Shenzhen, which at that point was a little gathering of small towns. It eventually bloomed into a city with 10 million individuals. Many best Chinese pioneers have visited Shannon in the decades since then, and commend the region for it's one of a kind model, and how it transited from a peaceful economy into a cutting edge powerhouse. While the Irish town is still generally little and has kept up its character, it has likewise left an impression on the world economy that has turned out to be very extensive. It is important not to overlook the contribution of the United Nations Industrial Development Organization (UNIDO), both in the data trade between specialists in Shannon and Chinese authorities, and in the spread of SEZs over the world. The instructional class in Shannon which Jiang Zemin attended in 1980 was one of the many facilitated by UNIDO with the end goal of sharing information about the improvement of unhindered commerce zones. It also defined handling zones and undertaking zones, which today are knows by the umbrella term ‘exceptional monetary zones’. Jiang was one of a group of eight senior government officials from China who participated in a six-week seminar which visited SEZs in six nations, namely Ireland, Malaysia, Mexico, Philippines, Singapore and Sri Lanka. Towards the end of the outing, the group submitted mission reports and suggestions to the State Council and the National People's Congress. All this information encouraged the enactment concerning the setting up and operating of China's first SEZs.